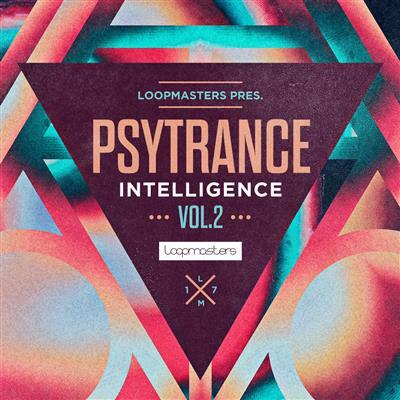 Loopmasters present Psytrance Intelligence 2 - a searing rush of psychedelic sounds to trip into the night and entrance the crowd from Russian Psytrance guru Somnia! All sounds come 100% Royalty Free and primed for your sonic hallucinations, so prepare to drop a dose of electronic energy and atmosphere! Psytrance Intelligence 2 comes with over 1.5GB of Loops, Hits, Synth Presets, MIDI and Sampler Patches in psytrance flavours - direct from the studio of Somnia, a regular headliner for the worlds biggest psytrance Festivals. Inside the pack are Loops jam packed with bubbling basslines, thumping drums, trippy tops, expansive cinematics, flowing builds, dark vocal chops and stunning synths - gated, arpeggiated and sequenced to perfection! Prepare to hear a techno heartbeat pulsing through your veins with over 140 one shot samples! Expect to find meticulously produced Drums, Synths, Basses and FX, ready to be triggered and fully locked up into tidy Sampler Patches for your listening pleasure! Break on through to the other side with MIDI files and 50 epic synth presets are included for Massive, Serum, Spire, Sylenth and U-he Hive! In detail expect to find 1.69 GB of content with 855 individual 24 Bit Wav files. 278 Loops are included with 68 Music Loops, 28 Bass Loops, 27 Fx Loops, 24 Snare Loops, 23 Hat Loops, 20 Full Drum Loops, 20 Top Loops, 18 Vocal Loops, 17 Kick Loops, 15 Cinematic Drum Loops, 12 Buildup Drum Loops, 3 Snap Loops, 2 Tom Loops and 1 Click Loop, 567 One Hits are included with 98 Drum Hits, 70 Fx, 24 Synth Hits, 20 Bass Hits, 15 Bass Loop Multis, 6 Bass Multis and 5 Synth Multis, 431 Rex Loops and 81 Sampler Patches are included for NNXT, Halion, EXS24, SFZ and Kontakt.